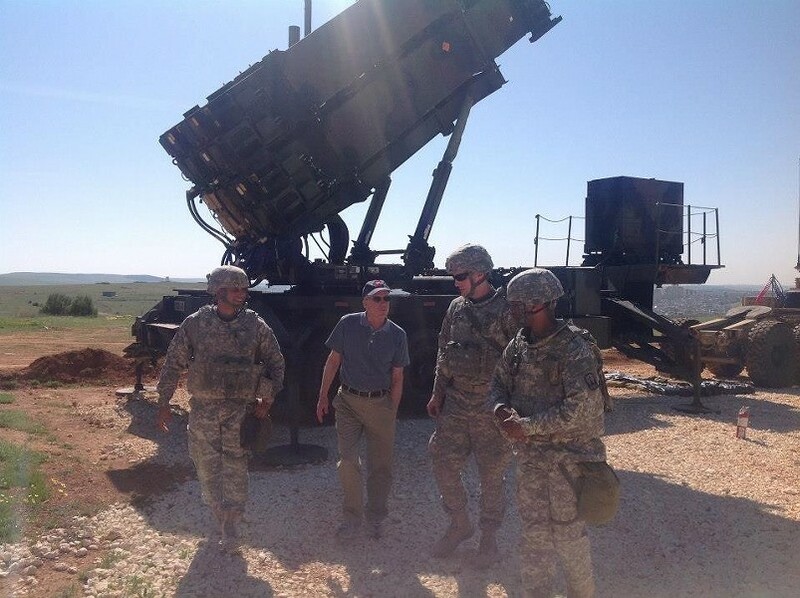 Congressman Peter Welch during a 2013 trip to the Middle East and East Asia that brought him to the Turkish-Syrian border. Vermont’s congressional delegation expressed adamancy Friday that President Donald Trump seek approval from Congress to intervene further in Syria. The delegation’s three members appeared less certain of how they would vote if Trump did, in fact, come to them with such a request. Trump ordered a missile strike on a Syrian air base late Thursday in retaliation for the government’s alleged chemical weapons attack, which killed at least 80 civilians earlier this week. Some members of the U.S. Congress have commended Trump while others have condemned his unilateral decision. Both senators stopped short of criticizing Trump for authorizing air strikes Thursday. Vermont’s delegation expressed greater ambivalence about how Congress should respond to a potential request for authorization from the president. Sanders gave little indication of how he might vote on future air strikes.